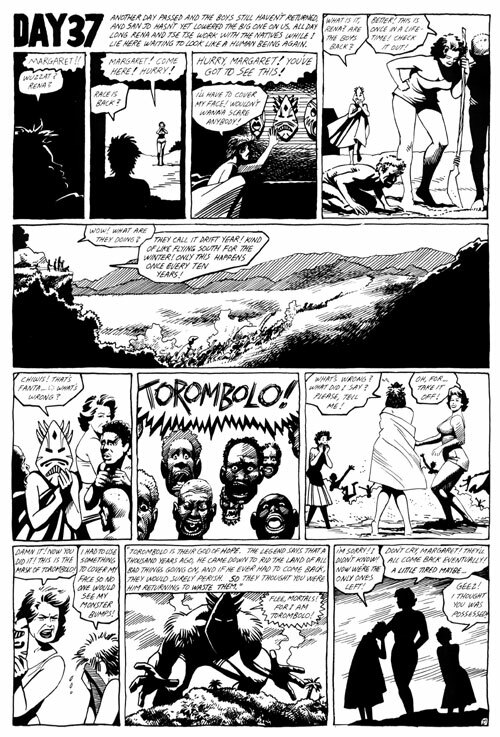 From the first issue of the groundbreaking series. This piece was also published as page 97 in Love and Rockets Collection 1. 10 inches by 15 inches, India ink on 2-ply Bristol Board.